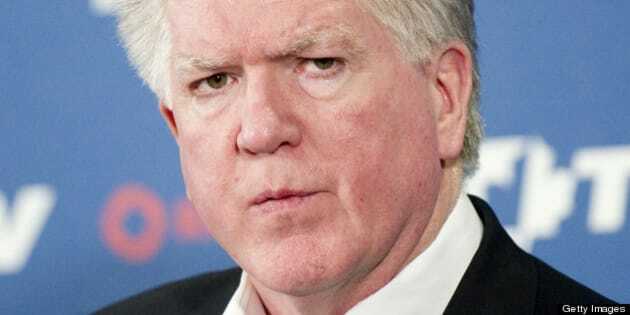 Former Toronto Maple Leafs and Vancouver Canucks general manager Brian Burke has received a favourable ruling in his bid to track down people he claims made defamatory comments about him on the internet. Burke filed a lawsuit in April, claiming he was defamed by online comments which accused him of having an extra-marital affair with a female sports anchor on a national network. The suit identified postings from 18 commenters made in January on various blogs and bulletin boards. According to The Province and the Toronto Star, the B.C. Supreme Court on Tuesday gave Burke's legal team permission to send notice of the legal claim via private messages to the seven individuals who have yet to be identified, on the sites where the comments were originally made. The seven would then have just over a month to respond to the claim. Burke's team reportedly met resistance from the administrators of some bulletin boards in identifying all 18 commenters, and argued that it was not possible to serve everyone in person, and that the process of tracking down IP addresses from where the comments originated for those not yet identified would be time consuming and ineffectual. Burke is seeking general and punitive damages. Burke was let go by the Maple Leafs in January after serving just over four years as president and general manager of the Leafs. Toronto failed to make the playoffs during that time, although the team he left behind did qualify for the post-season this spring. The 57-year-old rejoined Anaheim in February in a scouting capacity. He was GM of the Ducks for three years, including when they won the Stanley Cup in 2007.